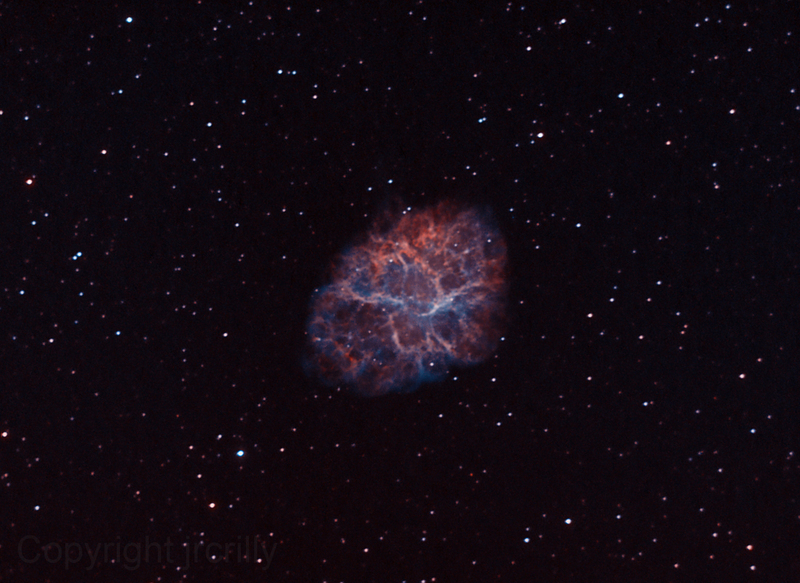 I guess I’m still in a bicolor rut, but at least I got away from the widefield stuff. Here’s M1 with eight ten minute exposures each Ha and OIII. Working at F/8 instead of F/5 is about one aperture stop decrease, so Ideally I’d be doubling exposure time. I lack the patience so I’m still using 10 minute exposures. Click the thumbnail above for the larger version, or click here for less compressed. Which Meade optical tube did you use here? Oops – sorry! That was captured with the 12″ F/8 Meade. I’ll edit that entry tonight to correct the omission. I thought I had responded to this, but don’t see it now??? IC1101 is pretty small and dim. It could be captured but wouldn’t look like much (at least, not from my urban location). Is not possible for example to take a shoot of IC1101 right?